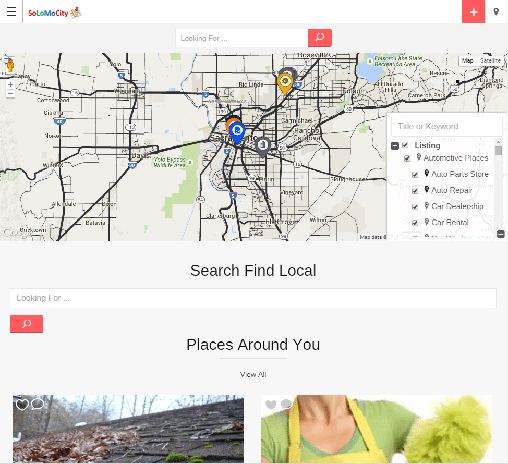 I am proud to announce the opening of my brand-new local community directory of events, places, local news and classifieds. As our lives become more and more accelerated by today’s mobile technology it becomes increasingly easier to connect and share our lives with family and friends. It is our mission to bridge that gap between communities, friends, consumers, businesses, sellers, buyers and families. It is our mission to provide a mobile platform that can be used by mothers, kids, business owners, online marketers, music lovers and entrepreneursanyone looking for a deeper insight into their local community – Local life ! This platform was built as a Social Sharing Machine. From the moment you login with your favorite popular social network like Twitter, Google+, Facebook you can start sharing directly with your favorite network. All pages are optimized to share with just one click, no need for extra software or browser plug-ins. With our proprietary broadcasting network called “Post2All” everyPost, Event, Place, Listing, Local News, Classified Ad submitted will be broadcasted to over 20 of the best social networks automatically by just submitting. plus the same submission will be syndicated in over 200search engines, web 2.0 and bookmarking sites. I n addition to reviews you can share anything, you can use us to find events, lists, Press Releases or Local Businesses and to talk with other locals. Anybody can setup a free account to post Events, Press Releases, Local Businesses, anything. We uses automated software to recommend the most helpful and reliable reviews for the community. The software looks at dozens of different signals, including various measures of quality, reliability and activity on social networks. We bring locals closer to their community with updates on the latest and greatest Local events, local news & other happenings in their community. Sell tickets from your Events post Coming Soon!